Any user of electricity is potentially a client. Realistically, our target is those users whose savings relative to their consumption provides a sufficient margin for services and products. Those clients, who are the heaviest users therefore, such as industrial and large commercial, provide the largest amount of funds available for use on projects. 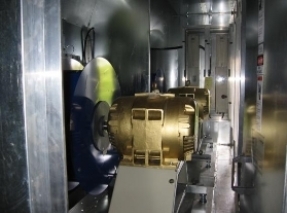 Particular success has been found in industries such as manufacturing, which utilize large numbers of electric motors. Current successful installations are anticipated to lead to further sales within the industry of the given client. For example, projects completed for the Atlantis Resorts is leading to a) more sales at Atlantis, b) sales at other Bahamian businesses, and c) sales to other resorts or hotels that recognize The Atlantis as a premier offering in their field. Additionally, placement of this sale in the Bahamas is being leveraged into additional sales in the region and into developing a residential market beginning with sales to personnel involved in the management of the resort. (MDL) Motor Dynamics LTD is working to see each client as a multiple-occurrence sale. (MDL) Motor Dynamics LTD approaches the client with the technologies with which they are most comfortable, air conditioning treatments for example. After successfully implementing this initial solution, the client will be receptive to additional treatments in other technologies, motor controls for example. Our expansion into low-cost energy savings related products, such as lighting, allows (MDL) Motor Dynamics LTD to present itself as a comprehensive provider of all energy savings technologies. • Capital Expenditures – extended life of equipment which improves the bottom line. • Production Downtime, Unplanned – Correcting Power Quality issues eliminates electronic board failures in process equipment and protects against unforeseen power problems created outside the facility. • Production Downtime, Planned – Our Predictive Maintenance Services eliminate unnecessary maintenance costs and reduced downtime in production. • Not Enough Capacity – Treating power issues at the meter can effectively provide additional power needed for growth without an investment in new service equipment. • Energy Costs – Energy Conservation Services eliminate kilowatts directly from their electric bill. We can also eliminate demand charges they currently pay. • Fixed Energy Costs – Lighting retrofits can transform certain fixed costs into variable costs. • Motor-driven equipment accounts for 64% of the electricity consumed by US industries. The US Department of Energy has targeted motor controllers and variable speed drives as two primary technologies that can reduce this energy consumption. MDL provides both the latest in intelligent motor controls and the newest technology for variable speed drives. • Lighting consumes 35% of electricity used by all types of businesses in the US. MDL Compact Florescent retrofits can reduce existing consumption by 50% to 75%. Businesses could save billions of dollars annually by replacing technologically outdated high-bay fixtures. • National standards for food storage temperatures have been reduced in recent years. 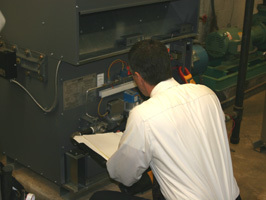 In many instances existing equipment struggles to maintain temperature. MDL’s XDX solution provides a guaranteed 10% reduction in refrigeration electricity consumption. Alternately, temperature of the storage unit can be lowered. This solution also reduces frost buildup, brings stored product down to temperature more quickly, and reduces product temperature fluctuation yielding a longer shelf life. • Air Conditioning controls and additives along with the unique Hy-Save product which was developed in England can save our clients 20-30% in energy consumption.